I am going to bind it in the strip print. 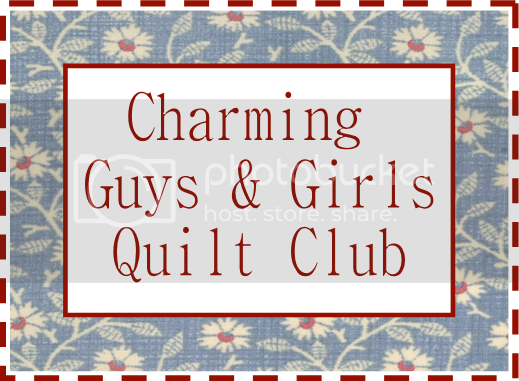 Tomorrow during the CGQC Spring Sewing Party I will be making another one for the NAME THAT QUILT give away. I have just enough fabric. I don’t have any mini quilts and I think this one will be cute on my wall. because I just think it is so darn cute! I love using up scraps! And it looks beautiful! Gotta love stash busters! Especially when they turn out that cute! That is really cute! How big is it?? Love the quilting too. Wow, how pretty! The back is even pretty! 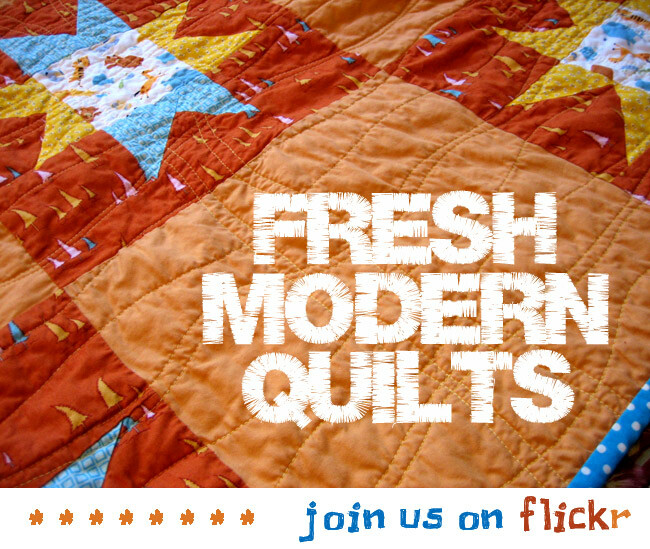 I love your quilts :) and the quilting is awesome on it! Great Job! That litle quilt is so cute. How nice. It's absolutely adorable -- you should definitely keep it! Oh wow! I love the fabric. 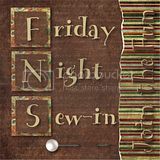 That is what I am sewing with today. From all the projects I have seen it is a Verna Day. I definitely is cute and I love the fabrics you used. Very happy and bright! So cute! Can't wait to see the Sew In project. Little Sister-Barbara. 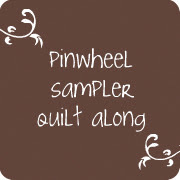 I do so love that mini-quilt! Rene - where are you? 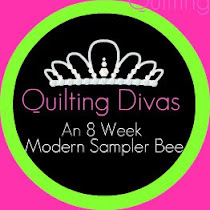 I'm dying for an update - how is the quilting going - and what are you eating over there? Anything you can share?? Ohhhh...I love it because it would look great at my house!!! 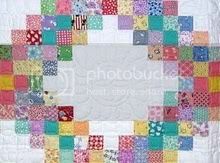 I like the idea of mini quilts too!! Oh that is gorgeous. I know what you mean about Little Quilts. 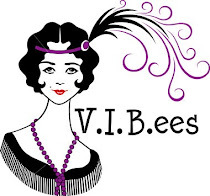 I often wondered why make little quilts until I joined blogland and saw all the beautiful schinnibles and now Charmettes will soon be available. I am so glad you were able to come to the party! so cute! miniquilts are the best. Very, very cute! Simple, clean and charming! I like the quilting too! absolutely darling! and good for you for keeping it for yourself! i rarely keep anything i make, whether it's quilts or other things.